OC Mom Activities: A Firetruck Cake for a Fantastic Kid! Take a peek a this cake I created for DayTrippingMom.com's sons' birthday party last week! I used the salted caramel cupcake recipe to make the cakes and used the frosting recipe listed on yesterday's post here. It was a huge hit and everyone was asking for the recipe! Now I'm looking for another reason to make a cake! 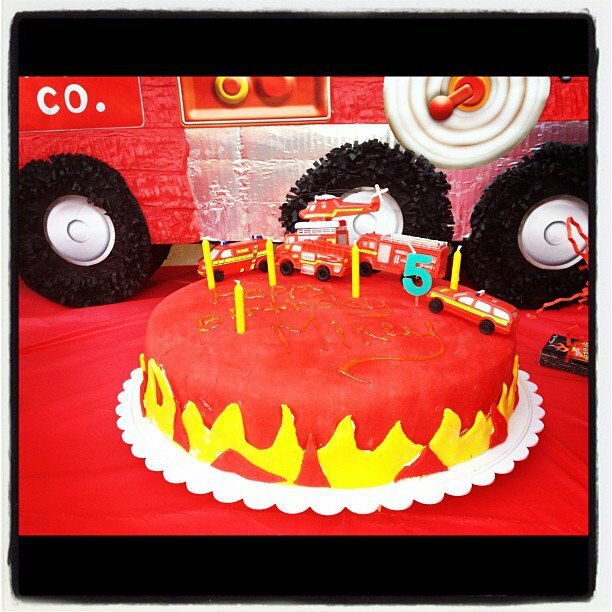 She had the Mobile Pizza Unit out to make pizzas on the Firetruck, so we ran with the theme to make the cake. Such fun!